The popular thinking for the name of the next title in the Call of Duty series has been Modern Warfare 4, but that appears to not be the case if the latest rumor is to be believed. A video surfaced today from Youtube account Drift0r, which he claims that he has an inside source that has given him information on a next-gen Call of Duty title. 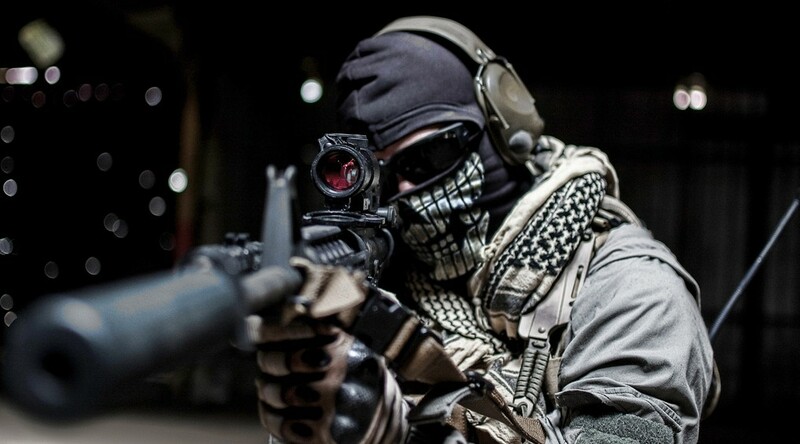 The game is claimed to be called Call of Duty: Ghosts, and is a different branch of the Modern Warfare story-line. The video is included above, but we’ve summarized most of the major points from the video below. Title was originally Call of Duty: Phantoms, but the name was changed to Ghosts recently as the “working title”. Campaign is set in the future, but current weapons are being used. Hinted that a major event happened in the future that leads to the use of current weapons. Multiplayer load screens will be dynamic. Discussed the idea of users repelling out of a helicopter or breaching a building through a glass window as the match starts. Describes it as a “mini-game” feel. Player movement has been changed, but no details were given as to the mechanics. Dolphin dive was not confirmed, but players are now able to dash and slide into while shooting. Speculated that the “dash and slide” mechanic will be replacing the dolphin dive, however. Prone and crouch have been changed, and peaking around corners will now be available for console versions. Users are even able to go prone & roll. Environments will be able to be interacted with, but no examples were given. The game will only launch on PC and next-generation consoles, hinting that current-generation consoles will receive a different version. At this point, we’d recommend to take this information with a grain of salt. We would exercise a bit of caution here, as it doesn’t seem that Activision would miss out on the current-gen Call of Duty market and sales. While a portion of this information does seem plausible, we ultimately won’t know for sure until Activision pulls back the curtains on their next-generation plans. What do you want to see out of a next-generation Call of Duty title? Be sure to let us know what you think by leaving us a comment below, or discuss Call of Duty in our forums.